The Zwaanendael Museum, located at 102 Kings Highway in Lewes, Del., is currently offering “Global to Local: International Events and the First State,” a five-part series that explores how world events have impacted Delaware’s history. All programs begin at 2 p.m. and will be held on the museum’s 2nd floor (entry via staircase; no elevator). Admission is free but, due to space restrictions, reservations are required by calling 302-645-1148. 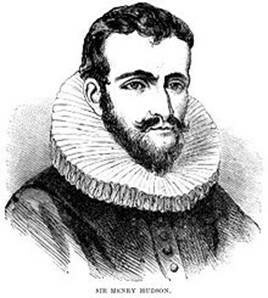 “Hunting for Hudson.” Lecture by historic-site interpreter Kaitlyn Dykes on Henry Hudson and his connection to the Delaware Bay. Reservations required by Sept. 8, 2017. “A Dead Whale or a Stove Boat, Part One.” Lecture by historic-site interpreter Andrew Lyter on the early days of the American whaling industry (1620–1783). Held in conjunction with Lewes’ annual Boast the Coast festival, the event will also feature a day-long slate of historical games and maritime-history activities. Reservations for the lecture are required by Sept. 29, 2017. CANCELLED: “A Dead Whale or a Stove Boat, Part Two.” Lecture by historic-site interpreter Andrew Lyter on the glory days of the American whaling industry (1783–1861). Dec. 9, 2017 program cancelled and incorporated into March 24, 2018 program. “Buccaneers in the Bay.” Lecture by historic-site interpreter Kaitlyn Dykes on the pirates of Lewes, Del. Reservations required by Jan. 12, 2018. “Seafarers Folk Art.” Program featuring demonstrations and hands-on activities. Reservations required by Feb. 16, 2018. “A Dead Whale or a Stove Boat, Parts Two and Three.” Lecture by historic-site interpreter Andrew Lyter on the glory days of the American whaling industry (1783–1861) followed by its decline and death (1861–1927). Reservations required by March 23, 2018. Program incorporates material originally scheduled to be presented on Dec. 9, 2017. Administered by the Delaware Division of Historical and Cultural Affairs, the Zwaanendael Museum was built in 1931 to commemorate the 300th anniversary of the state’s first European colony, Swanendael, established by the Dutch along Hoorn Kill (present-day Lewes-Rehoboth Canal) in 1631. Designed by E. William Martin (architect of Legislative Hall and the Hall of Records in Dover), the museum is modeled after the town hall in Hoorn, the Netherlands, and features a stepped facade gable with carved stonework and decorated shutters. The museum’s exhibits and presentations provide a showcase for Lewes-area maritime, military and social history.